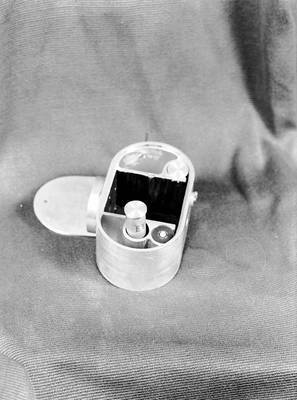 One of four views of the Midget Camera, 1934. “Stone Mfg. Co.” written on envelope.